Click Here Now to Get Your Mind Power Gift! Currently there are a number of theories explaining the formation of crop circles, though some of them describe phenomena that are not very well understood. Here is a rundown on some of the latest theories. This is one of the most popular theories proposed by cereologists who hold that crop circles are the result of a physical phenomenon that is currently not well understood. They believe that the depressions are part of a little understood, unusual weather effect. The name ‘plasma vortex,’ was created by George Terence Meaden, author and former physics professor from Britain. He defines it as “a spinning mass of air which has accumulated a significant fraction of electrically charged matter.” A plasma vortex is supposed to be something like ball lightening but larger and longer lasting. The plasma vortex, which produces a complex mixture of microwaves and magnetic fields is believe to explain the plant anomalies found in the crop circles. The microwave component is believed to heat up the internal moisture in the plant stems, turning it to steam. The steam seeps out at the nodes by stretching these fibers; in more mature crops, in which the fibrous tissue is tougher and more rigid, as the steam builds up it explodes from the nodes creating small holes. Have the ability to pass through clouds and falling rain and may even be less damaging to plants in these types of conditions. Certain crop circle designs are suggestive of a rotating beam with a variable diameter, which may be relative to the dispersion of the laser beam or the altitude from which it is fired. Not all crop circles mysteriously appear under the cover of night, though those that have appeared right before the eyes of witnesses are no less mysterious. There have been more than 80 eyewitness accounts, in lands as distant as Australia and British Columbia. All of them describe similar events. Remarkably, witnesses, often farmers, have reported the crop circles being formed in less than twenty seconds. The same witnesses also describe seeing incandescent, colored balls of light either before or during the circle’s creation. Sometimes these lights are said to descend and actual swirl the crop into its geometric configuration in under fifteen seconds. These accounts have led to theories that crop circles are created by aliens who are trying to communicate with us. There are a growing number of people who believe that crop circles are made by extra-terrestrial visitors who are trying to communicate with us in some way. But if this is the case, what might they mean? Dee Finney and Joseph Mason, researchers on crop circles, claim that the phenomena are related to dreams and the human consciousness. The two have spent ten years researching crop circles and interpreting their meaning in relation to ancient mythological symbols and modern dream imagery. They have written numerous books and articles indicating links between specific crop circle events and astrology, the chakras, ancient Egyptian symbolism and Dharma. Colette M. Dowell is a naturopathic doctor and mathematical hobbyist, from Las Vegas, Nevada. She as been studying crop circles for more than eight years, and has traveled the world to survey different sights. She has noticed distinct changes in the formations over the years and described them as “chapters in a book.” Though she is uncertain as to whether the circle makers are from another dimension than ours or are from this planet, or, or if they are spirits. She does not however, think that they are caused by wind vortexes or plasma vortexes. Instead, she claims that a higher form of intelligence is responsible for creating the phenomena and they are being used as a form of communication. Dowell also claims that the circles integrate a technology based on a universal form of language, symbolism, and mathematics. In this sense the purpose of the crops circles is to form a bridge between humans and another dimension of reality. Within less than fourteen days, two crop circles appeared in adjacent fields located in the Gog Magog Hills, Cambridge, UK. The ‘Big One’ appeared on 11th July and ‘The Angel’ formation appeared on or around 25th July. ‘The Big One,’ was 666ft wide, with an outer band that was 18 feet wide and a center circle that was 45 feet wide. A week after the original circle was made, a labyrinth was added inside the circle. The wheat in the field was at the perfect height to prevent anyone form cheating their way to the center and there was only one way in and one way out. A few days later a complex pattern of squares was also added. “The Angel’ was even more impressive. The diameter was 237 feet which interestingly, was also the exact diameter of the labyrinth in the earlier formation. The pattern consisted of a smaller banded circle resting on the circumference of the larger circle, with lines radiating out from it like a sun image. Paul Vigay, Editor & Publisher of Enigma; New Sciences Journal, once received an intrigued eye witness account of an incident that supposedly happened sometime between 1963 and 1969 at Grand Lake, New Brunswick, Canada. The event took place in an area surrounding the lake which was planted with pine saplings. The witness recalls driving up to the lake only to find his journey interrupted by an army road block. As he was passing through, the witness observed to circles being closely examined by police and military personnel. He explained “the trees were all bent to the ground. The circles were about 10 feet away from the edge of the road, one on either side. They were fairly large, about 12 feet in diameter. The really odd thing was all the trees laid down flat to the ground, all towards the outside of the circles. The tops of these trees all pointed to the circumferences of the circles. Later that afternoon, military trucks continued to direct traffic away from the site.” The only explanation that was ever given was that bears had pushed down the trees, but the witness found the explanation implausible because the circles were perfectly formed and exactly the same size. They were each the same distance from the edge of the road and all the trees were pointing from the centers, towards the outsides of the circles. Some months later the trees were cut down, though from the stumps it was clear to see that their trunks had been bent, not broken, close to the ground. Crop circles or agriglyphs are often beautiful and amazingly complex designs compressed into vast areas of vegetation. To date more than 10,000, crop circles have been reported in every continent and over 70 countries worldwide, including England, Australia, USA, France, Canada and Switzerland. They have been found in fields containing wheat, barley, canola, rice, linseed, and even in trees, ice and dry river beds. Though you may not realize, cop circles are not a modern phenomenon. They are mentioned in numerous late 17th century texts, and over 200 cases had been reported prior to 1970. These early designs were comprised of simple circles. After the 1980’s they began to develop straight lines, and were starting to resemble the petrographs common to many sacred sites throughout the world. In the 1990’s the complexity of the designs began to increase rapidly and is continuing to do so. Nowadays it is not unusual to find crop circles closely resembling fractals and multi-dimensional quantum models. Crop circles have not only increased in complexity, they have increased in size, with the largest to date covering 200,000 square feet. Can Crop Circles be Hoaxed? In September 1991, two remarkable, British septuagenarians, Doug Bower and Dave Chorley, came forward and claimed responsibility for the entire crop circle phenomena in southern England. According to the pair, their late night activities had begun back in the early seventies when they decided to try and fool people into thinking that UFOs had landed. They claimed that their only tools had been a plank and a piece of string, armed with which they attempted to prove to the awestruck public that they could reproduce their earlier creations. However, cerealogists found their story hard to swallow, particularly the fact that the two old men had single-handedly created hundreds of crop circles throughout the English countryside, and they began to delve a little deeper. When Doug and Dave were questioned separately, at a later date, they were unable to explain how some of the more complex crop circles had been constructed. There was also a conflict with some eye witness testimonies claimed that some of the circles had appeared within twenty seconds, accompanied by bright lights hovering over the crop fields. Despite their dogged insistence, it is difficult to see how the two old men could have been responsible for the huge number of circles that appeared throughout the English countryside over that period of time, and it certain does not account for the increasing number of circles appearing worldwide. From time to time groups spring up who either attempt to create crop circles or at least lay claim to such creations. However, there are a number of marked anomalies that are common to so called ‘authentic’ crop circles that distinguish them from the man made category. So far, no hoaxed circle has ever reproduced a single characteristic associated with the genuine phenomena. There are a number of interesting anomalies common to many crop circles which separated them from their obviously faked counterparts. In genuine crop circles the plants remain unharmed and are still growing despite their flattened condition. The circular designs may be swirled either clockwise or anti-clockwise, from a center point, in a wave pattern, rather than a tight spiral. At the center of the circle there is often a small hole, resembling a bird’s nest. Less mature plants, or a different species grouped together within the same area may often be left standing. Interestingly, despite the fact that 60 percent of the circles appear on rainy nights farmers have never discovered the presence of any mud inside a circle. Many crop circles have been found to contain light, powdery deposits covering the plant leaves. This substance has been determined to be comprised of a magnetic iron ore known as magnate (which could be meteoric dust), silicon dioxide and magnesium oxide. All plants within the circles appear to have been subjected to a sudden and intense burst of heat. This has the effect of softening the stems and enlarging the stem node, so that they drop, at ground level, at a 90 degree angle, they re-harden into their new permanent position without sustaining any apparent damage. On a microscopic level, enlargement of the cell wall pits, in the membrane surrounding the seed head have been found. These are the holes through which nutrients pass to feed the seed. Interestingly, it has been documented that seeds germinated from crop circles occurring in mature plants grow faster and develop into larger, stronger plants than normal, while those occurring in less mature plants, produce stunted seedlings. Holes are also blown out at the plant stem nodes, usually at the second, though increasingly at the third and fourth node. Crop circles also show the presence of ultra sound-sound above the range of human hearing. Such frequencies are also known to exist at ancient sacred sites such as stone circles and burial mounds. Higher than normal levels of electromagnetic energy have been measured within crop circles. These have the ability to interact with human and animal brainwave patterns, and crop circles have been reported to effect people’s biophysical rhythms. It is not uncommon for people to report feeling sensations of heightened awareness and even healing, within crop circles. Many people also experience dizziness, disorientation and nausea, possibly caused by the presence of microwaves. There was also an unusual occurrence in a crop circle in Canada involving two porcupines. Most animals, it seems, detect an impending crop circle event and will flee the area. Porcupines however are staid creatures, and in the face of danger tend to hold their ground and rely on their quills for defence. In the Canadian incident the remains of one porcupine was found, practically incinerated, while the other was found intact. However, there were skid marks showing where it had apparently been dragged from the edge to the center of the circle. Where it lay, its spines where bent in perfect alignment with the rest of the crop circle. In the early1990’s Gerald Hawkins, a mathematician famous for is work with Stonehenge, became interested in crop circles. After examining ground surveys and aerial photographs he began to take measurements of crop circles and calculate the diametric ratios. In 18 particular patterns that included more than one circle. In 11 of them, he found ratios matching the diatonic scale – corresponding to the white keys in an octave on the piano. He then began to look for significant geometric relationships within the lines and circle found in more detailed crop circles. He soon discovered four distinct geometric theorems connecting crop circle patterns, later he developed a more general theorem from them. Hawkins explained that the general theorem involves a series of concentric rings touching the side of a triangle. As the shape of the triangle shifts, it creates unique crop circle patterns. Interestingly, Hawkins was unable to find any of his theorems in Euclidian geometry. From this, he drew the conclusion that they were part of a more ancient mathematics. There is a universal human emotion that is particularly acute in modern, western society, and that emotion is loneliness, in particular, romantic loneliness. There are countless ways to “reach out” to other human beings, many of which, ironically, do not require social interaction. However, that being said, the desire to connect with other human beings, to be understood, and to enjoy physical and emotional intimacy is deeply rooted within us, and is a natural, inherent longing. A perhaps over-used concept has been tossed about, within song lyrics, self improvement strategies, and the like, which is “you can not find love until you love yourself” which may prove to be a rather grand idea for some, especially those caught up in the hurry and hustle of the western world, where we all too often are intrinsically entwined within unhealthy eating habits, therefore linked to poor self image/obesity, frantic professional deadlines, and patterns of continued resentment and anger. What if upon exploring dating websites, or navigating blind dates through mutual acquaintances, you decide that maybe you are not cut out for love? That perhaps it is not in the cards for you, because you have tried, and nothing seems to stick. You are disillusioned, and not only on or around Valentine’s day, but on most days. For both women and men, gay or straight, these hopeless and frustrating feelings of despair and disconnection may result in a variety of behaviors, ranging from promiscuity to isolation, to settling within a romantic situation that is less than ideal or even abusive. What if the answer to your love dilemma was as simple as learning how to breathe correctly? Does that sound absurd or ridiculous? Whether or not that idea gives you pause, consider for a moment that your romantic success could be being thwarted simply because you are breathing badly. Yes, your drive to be understood, appreciated, and kindred with other human beings may be realized through attention to what yogis have known for thousands upon thousands of years, that our breathing is intimately and absolutely connected to our autonomic nervous system and therefore to our minds, and that the unlocked and uncluttered power of our minds is unprecedented with regards to laws of attraction and to healing. As an example, it is not unheard of anymore that many hospitals and medical institutions are now invested in training patients in breath regulation. So what is the diaphragm? The diaphragm is a large muscle that exists horizontally across the base of your rib cage. Envision a spherical serving plate, that has been flipped upside down, and rests just inside your lower rib cage. Your diaphragm is in the front, and is connected along the sides of your lower ribs, and also travels along your back. When you use your diaphragm for breathing, as a result, there is barely any motion in your lower abdomen, and your chest remains peaceful and still. This is ideal, and a tremendous part of all ancient and widely accepted meditative practice. Before you allow yourself to become automatically skeptical or adverse to concepts of meditation, (when you believed you were simply finding out how to date successfully..! ) remember that nearly ALL programs or methods geared towards romantic success, WILL involve some sort of introspection of one’s character, even if only for the purpose of creating one’s “profile” for potential suitors to peruse.. therefore it’s unavoidable for you to dodge the beneficial elements of calm self evaluation for the purpose of change. Therefore, please open your mind to allow further discussion of diaphragmatic breathing..
Diaphragmatic breathing, then, once understood, should be simple to toss in as habit, if it’s not already in place, right? However, this is not so, because in modern western society, we indulge in stress-filled lives, and subsequently learn bad breathing habits, using the abdomen and the chest, instead of our diaphragms, to take essential deep breaths. This type of frenzied breathing, instead creates more tension, which then places us in a ruthless cycle of toxic mental chatter, encouraging bad breathing and breeding overall physical strain. This “bad breathing”, in short, causes problems within your mind because it must navigate unbalanced territory, undernourished. The key towards solving the broad subject of accepting one’s self, (“loving oneself”) enough to feel attractive within, and therefore to feel attractive enough as a whole to consider love as a viable, attainable, and deserved goal, is to REMOVE breathing irregularities. 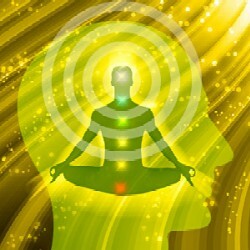 Cultivating correct breathing patterns and working on your breath, ultimately helps your mind. The simple and lovely fact is: if you eradicate your breathing aberrations, there will be extraordinarily beneficial rewards for your mind as well. When your breath adjusts itself as an entity that is easy, effortless, continuous (without interruption), steady, and inaudible, the mind follows the example, and also becomes calm and serene. The body follows suit, and enjoys a state of peaceful balance. This fused state is an attractive place to be. Thus, the body, breath, and mind are melded with one another, connected by the rhythmic pattern of soothing deep breaths. Remember, if there are stops and starts, shallowness, pauses, and clatter in your breathing pattern, these obstructions are caused by your mind. Your breath and body do exactly what your mind tells them to do. Quite simply, they cannot operate without following the precise directions from your mind. So if your breathing has imperfections, there is a simple explanation: The existing and ultimately toxic complications within your mind are creating those blockages and problems, which in turn actualize dilemmas within your introspective and interactive life. When you realize this inherent mind body connection, and become aware that through mindful repetition, and practice, you can actually feel and see the grand calming results from such simple and small actions, like breathing as if each single intake and exhalation held the key to your heart’s connection to other human beings who share a common struggle, then the exercise or practice of deep breathing may not seem so foolish. In fact, it may shift into feeling like a deeper and wonderfully meaningful spiritual adventure, with you as the bold and brave explorer, at the helm of yet untold bounty and wonder. Pretty exciting travel, as it turns out. Lastly, as you approach the edge of the metaphorical diving board (your heart’s leaping sojourn) it is essential to remember not to become angry or to blame anything or anyone for your current heart state, be it lonely or desperate, even rich or fulfilled. A hopeful element of understanding the simplicity of obtaining balance and peace through one’s breath regulation, is this: You are continuously able to start over! You are free to begin again, with each new precious moment, with every rejuvenating breath. Whatever romantic life you have right now, has all been compiled bit by bit from your past (questionable?!) choices. YOU have made your prior decisions, and YOU are the one responsible for YOUR present life. But don’t fret. Rather, delight in the experience. It can become a beautiful exercise to embrace the details of your life; To accept it, and to Start Changing It! Each positive evolution begins with acceptance, so go ahead and expand your existing horizons far enough to invite in a Full Breath of Romance…You deserve it!